From the far North of England, Dub Princess has adventured on an odyssey of musical creation and expression for the World, through street busking and Youtube notoriety. She has evolved along a slalom of solid collaborations, with some of the most well respected artists across the underground hip-hop, dub/reggae and electronic music scenes. Charlie 2na, OKA, Dub FX, Grouch, Okuli and Isaac Chambers are among the ever growing list of talented folk that she has had the pleasure of working with. 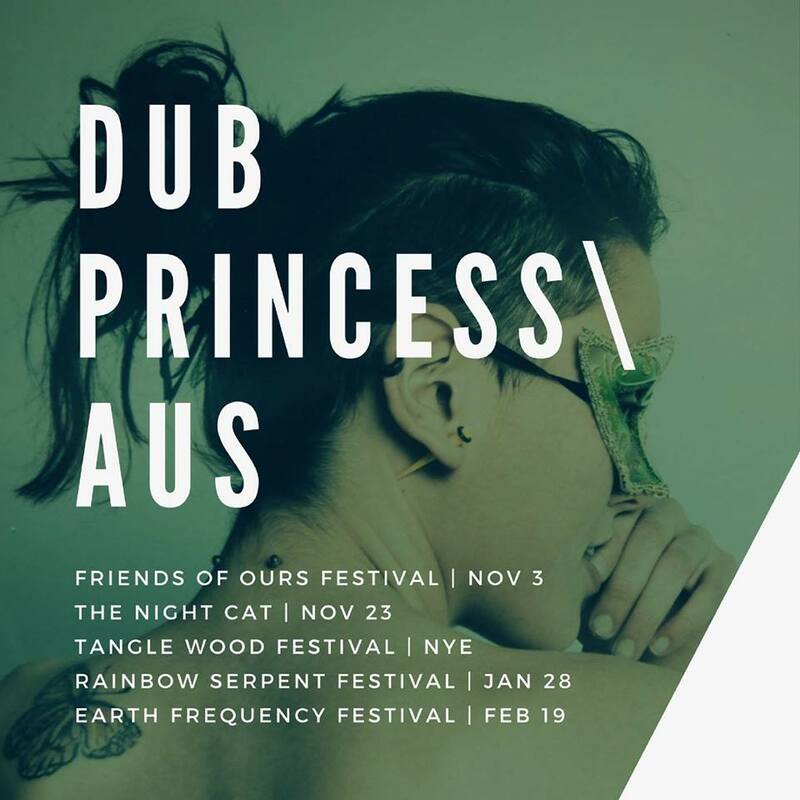 2017 has been a great year for Dub Princess to flourish as a string of ever more respectable and solid performances across Australian festivals has reinforced her credibility with very satisfied crowds and promoters alike. Dub Princess is only back for a short time so catch her while you can!